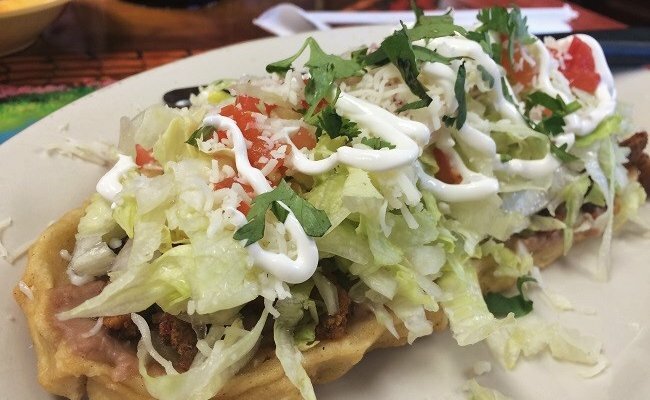 I recently posted this question on Facebook, “What is your favorite restaurant to eat Mexican food in the Little Rock area?” We got some great responses, but one comment, in particular, from Joel D. got me to thinking. His comment inspired me to think a little outside the box and write this fun post. It’s a full menu of courses, comprised of some of my favorite Mexican food dishes from restaurants around the Little Rock area. So, let’s get started. Frozen Mojito at Heights Taco & Tamale Co.: It’s almost unfair how delicious HTT’s signature cocktail is, and, from what I’ve been told, you can add a rum floater to make it even better. Just ask for it Alexia-style. Hey, you even get a free HTT koozie when you order the mojito. Margarita (on the rocks) at Local Lime: I’m from Texas, so I’ve spent most of my adulthood of Friday nights sucking down margaritas. My point? 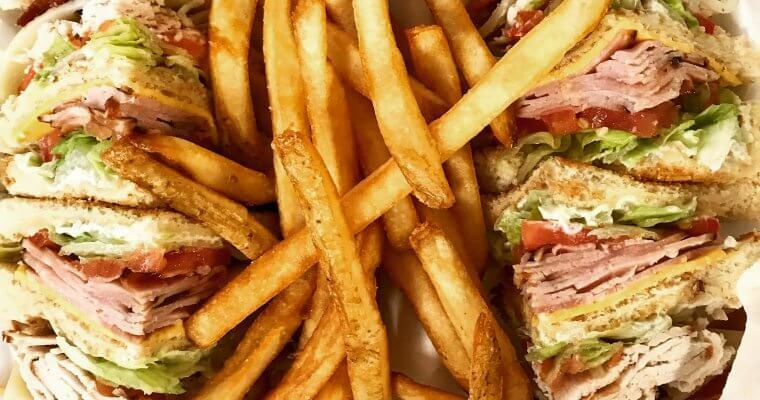 I know my way around a good one … and Local Lime’s version is the best in Little Rock. 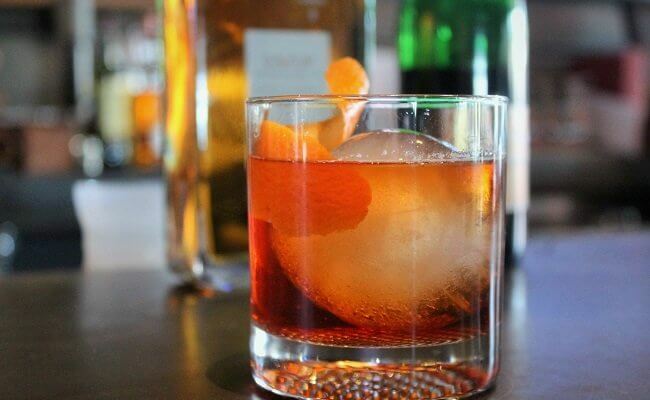 From what I’ve been told, it was a true labor of love testing and creating this drink. The team at LL definitely nailed it. 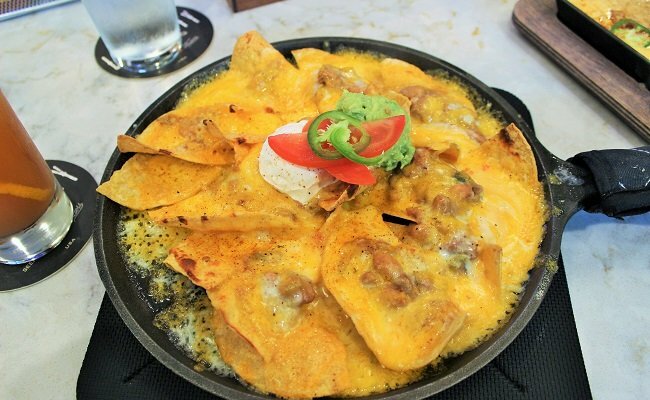 Triple Dipper at Baja Grill: It comes in two sizes (go with the large), and you’ll be hard-pressed to find a better way to start a Mexican food meal than with the Baja Grill’s Triple Dipper. 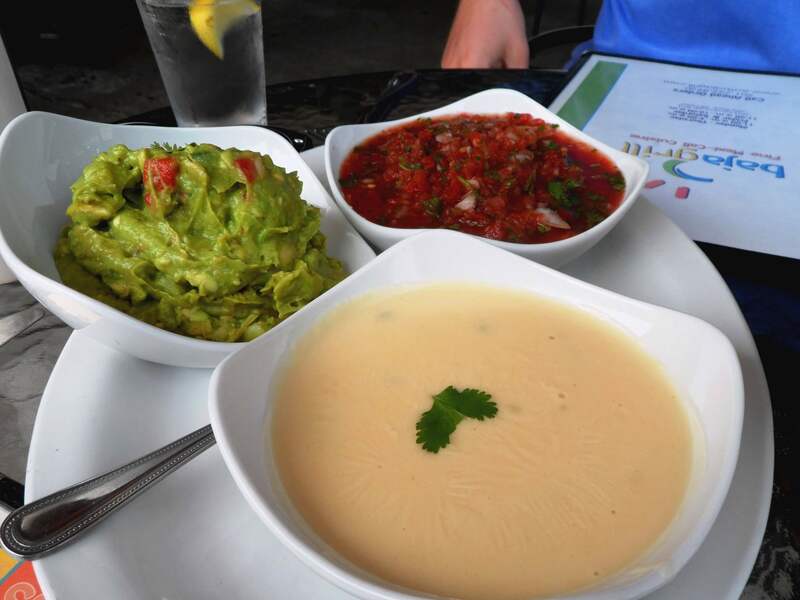 You get one each of the queso, guacamole, and salsa. Chips & Salsa at Local Lime: Select 3 of the 6 salsa options at Local Lime and shovel the deliciousness into your pie hole with those crispy tortilla strips. I tend to favor the Zucchini, Tres Chiles, and Chipotle, but you really can’t go wrong with any of the 6. Just be careful, pace yourself, and leave room for some tacos. 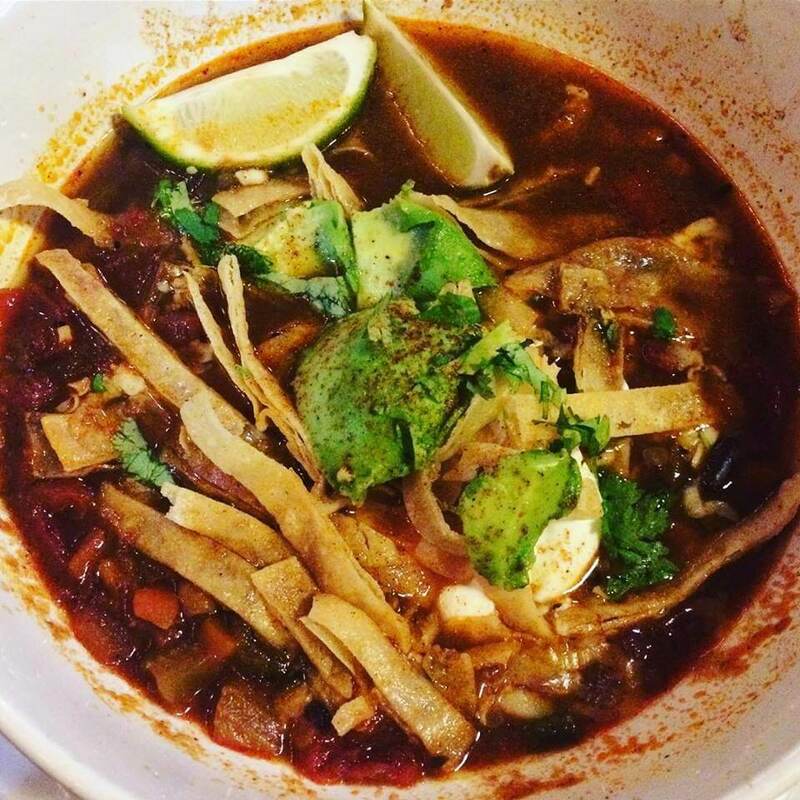 Smokey Chicken Tortilla Soup at Baja Grill: Since it’s technically the appetizer section of this post, make sure you order a cup of the soup, rather than a large bowl. The chicken really does have a wonderful smokiness to it, and the other ingredients, like crema, tortilla strips, cheese, avocado, cilantro, and lime, make for a perfect bowl of soup. Tacos at Karina and Eliella: I love both of these restaurants, mainly for the tiny tacos that they’ve pretty much mastered better than anyone else in town. The al pastor at Karina is a must-order. Shrimp Burrito at El Palenque: I could write a book about home much I love this burrito. Heck, it’s almost become my exclusive order at El P., mainly because they actually use decent-sized shrimp and I favor the inclusion of grilled onions. Oh, and the refried beans. 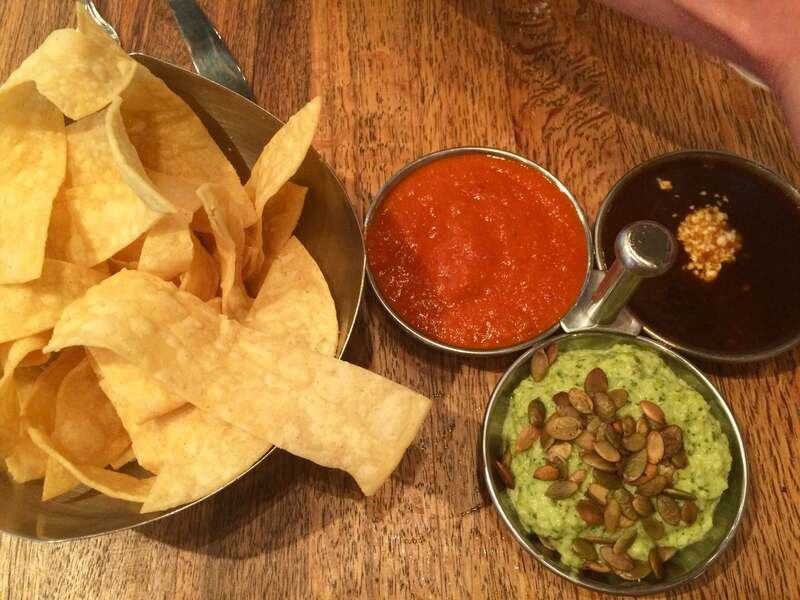 Is there any food on this earth better than refried beans? 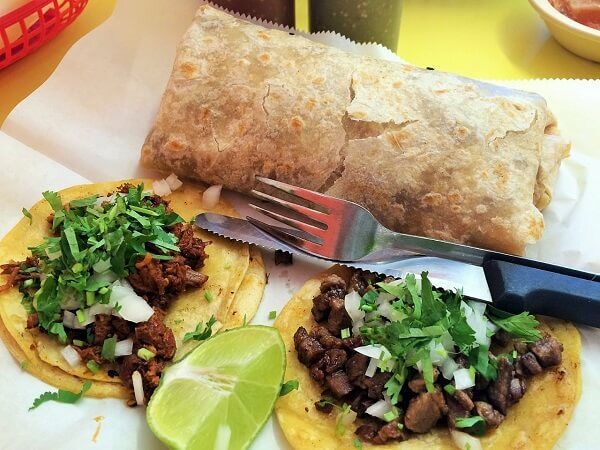 Al Pastor Burrito at Las Delicias: Put this Levy restaurant on your radar. It’s good and gets almost no attention. By now, you can probably tell my love for everything al pastor puts my long-term health in jeopardy. Las Delicias makes a mean burrito with it. Shrimp and Beef Fajitas at El Torito: My buddy ordered the fajitas at El Torito one time and I’m still thinking about them. Honestly, it’s hard to find good fajitas in this town. 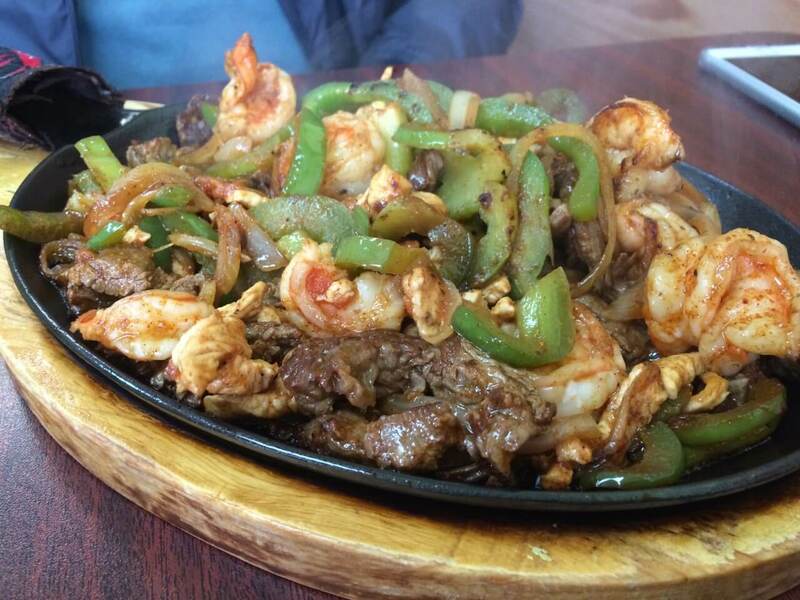 El Torito’s version, with tender strips of beef and plump shrimp, comes out sizzling and delivers on taste. Torta at La Pasadita: Talk about a tiny drive-up restaurant that’s blowing up. You can’t even get in the parking lot during some lunch services. I’ll give a little shout out to the enormous torta at La Pasadita. It’s the size of a small briefcase, and if you can consume more than half of it in one sitting, you probably have issues. Get it with steak. Also, although I’ve never had it, I hear the horchata at Pasadita is awesome, per Allen’s recommendation. Churros at El Torito: They are fresh, sugary cinnamon sticks of fried dough. What’s not to like? Did I mention they are fresh at El Torito?